Blank Page Muse: Brand New Red Rubber Stamps Now Available! 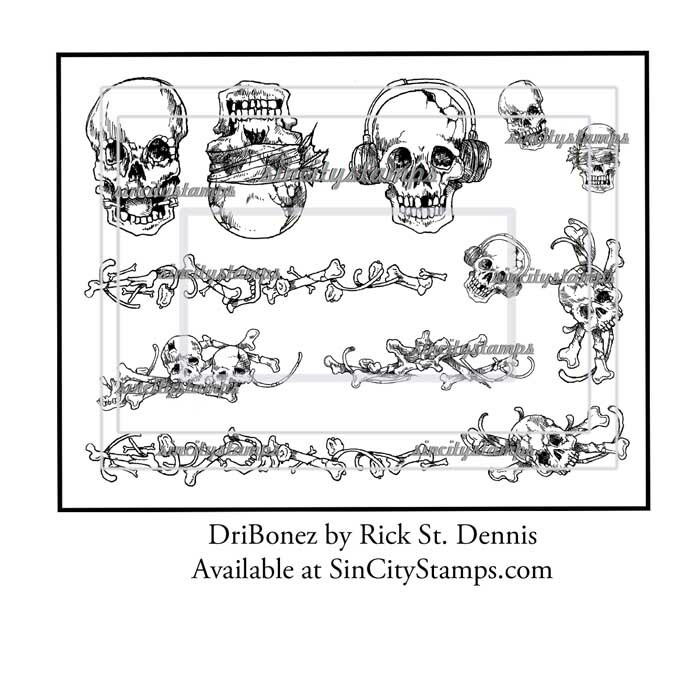 Today we wanted to share a closer look at the brand new stamps released by Sin City Stamps this week! There are four amazing new designs by 3 very talented artists! 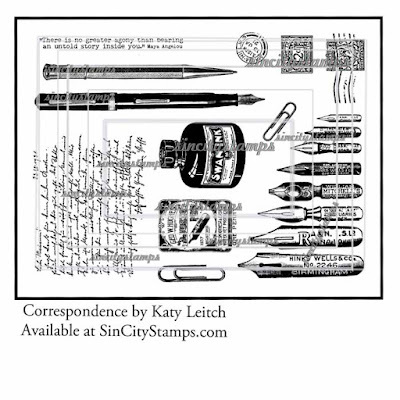 Our first set is a vintage inspired set called "Correspondence" designed by Katy Leitch. 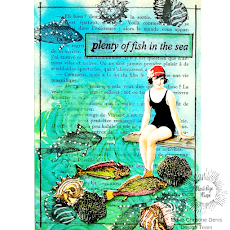 We think these stamps will serve you well to make postcards and art journal pages, in addition to greeting cards. 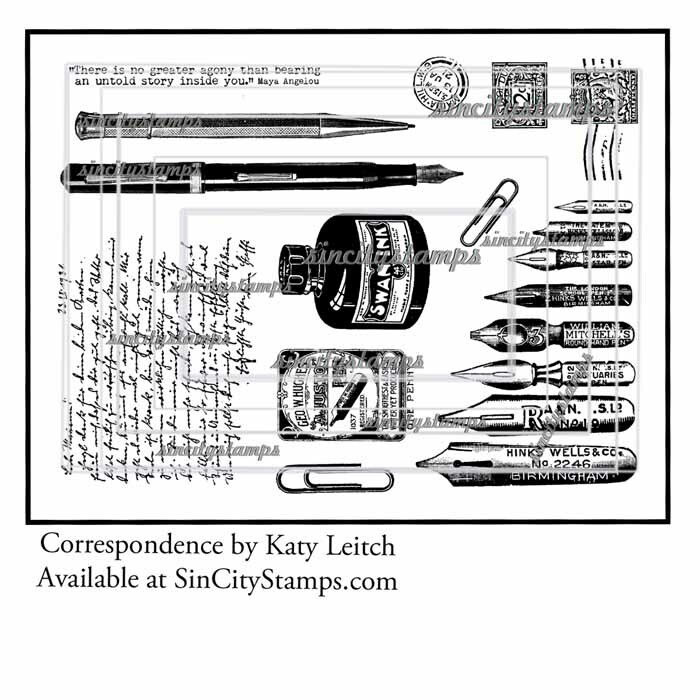 This stamp sheet is just about 6 inches by 8 inches. The red rubber stamp sheet is un-cut and un-mounted. The longest pen is 5.25 inches by 1/2 inch. The pen nibs block is 4 inches wide by 1 inch tall at one end to 3 inches tall at the other end. The ink bottle is 2 inches by 1.50 inches. The text block is 2 3/4 by 3 inches. 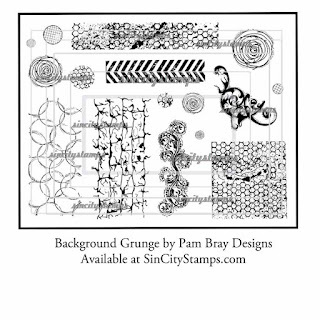 Our next stamps are designed by Pam Bray! 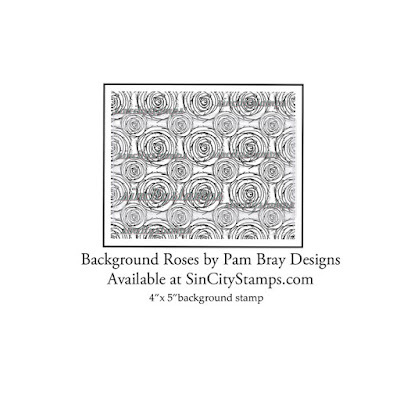 They are called Background Grunge and Background Roses. 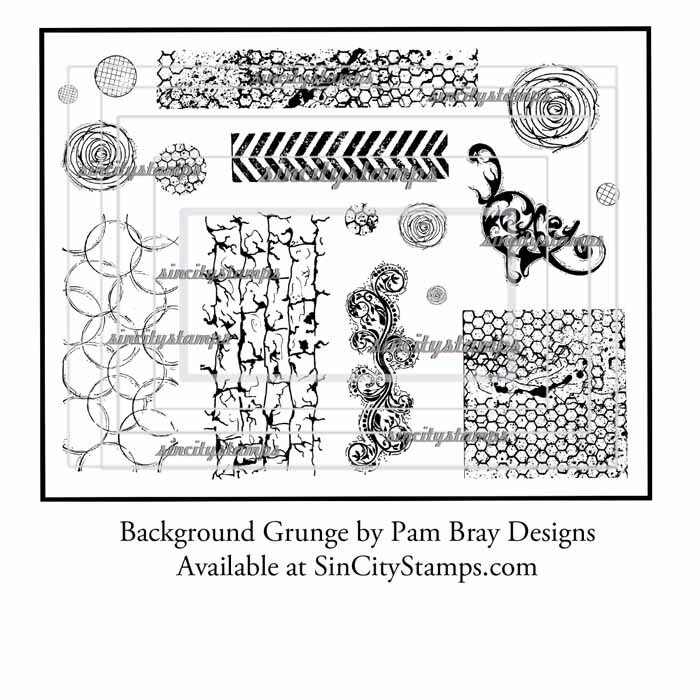 These stamps were created from hand made drawings by Pam. These are awesome texture builders for any mixed media project and cards in many styles. Background Grunge is just about 6 inches by 8 inches and un-cut and un-mounted red rubber. The largest solo rose is about 1 inch by 1.25 inches. The distressed chevron slice is 3/4 inch by 3 inches. The grungy honeycomb slice is almost 4.5 inches long and 3/4 inch wide. The circles texture is about 4 inches by 2 inches. The grungy brick wall is about 3 3/4 inches by 2 inches. The fancy swirls is about 3 inches by 2 inches. The grungy honeycomb block is about 2.25 inches by 2.5 inches. 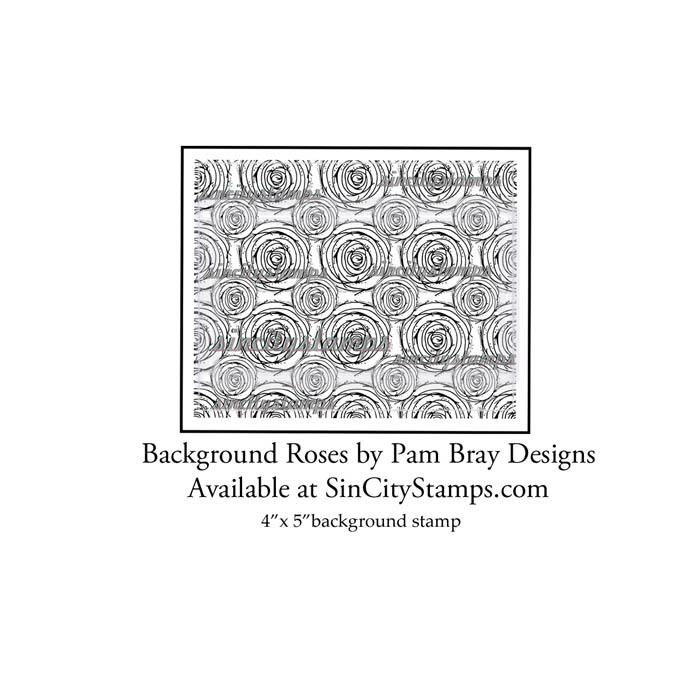 Background Roses is a 4 inch by 5 inch background stamp, un-mounted. 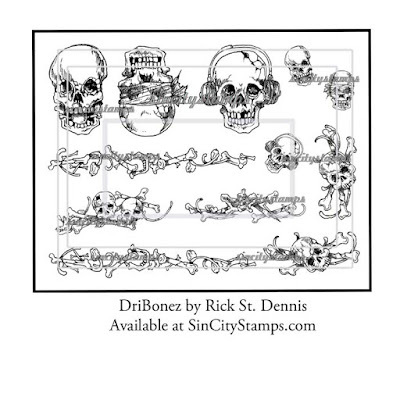 Our last release this week is another fabulous hand drawn illustration created by Rick St Dennis. This is a spooky twist on Hear no Evil, See no Evil....called DriBonez. after that they go back to full price.